I just move this website to a new server. Hopefully we will get a better speed now. There might be still some errors, if you see something – tell me! Enjoy the better speed now! Last #electronics_scams Update in 2016! Today I did another facebook post with a little electronics scam list. 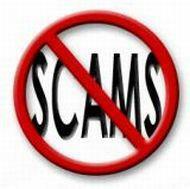 And at the bottom a list with all #electronics_scams reported so far! bowinda.com br-usb.com cheap-iphone7.com cheapgalaxys7sale.com chsunrisegroup.com dongfangelectronics.com dutyfreestore-cn.com etripltd.com freeshipelectronic.com hasabiz.com honxintech.com karisin.com online-ebuy.com progadgetsystem.com ruchutech.com szylwtech.com xianfengtechnology.com xmaliyun.com xupeitrade.com yansune.com I was also ask if there is a complete scam list. … Read moreLast #electronics_scams Update in 2016! (this blog post was cleaned and re-written with some changed links) It’s really funny if you look at some of the factory pictures and how often they are recycled. Have a look and loveslf.com . look at the bottom right of the website and you find the factory building: Take a close look at this websites for … Read morePhotoshop is great! A few people recently ask me about awstore.co , and what I think about it. I am highly suspicious for a few reasons, to me it looks like it belongs in the #electronics_scams group. I give you a few reasons here: 1. The website is just about 1 month old (creation date 2016-11-10), but on … Read morewhat about awstore.co ?